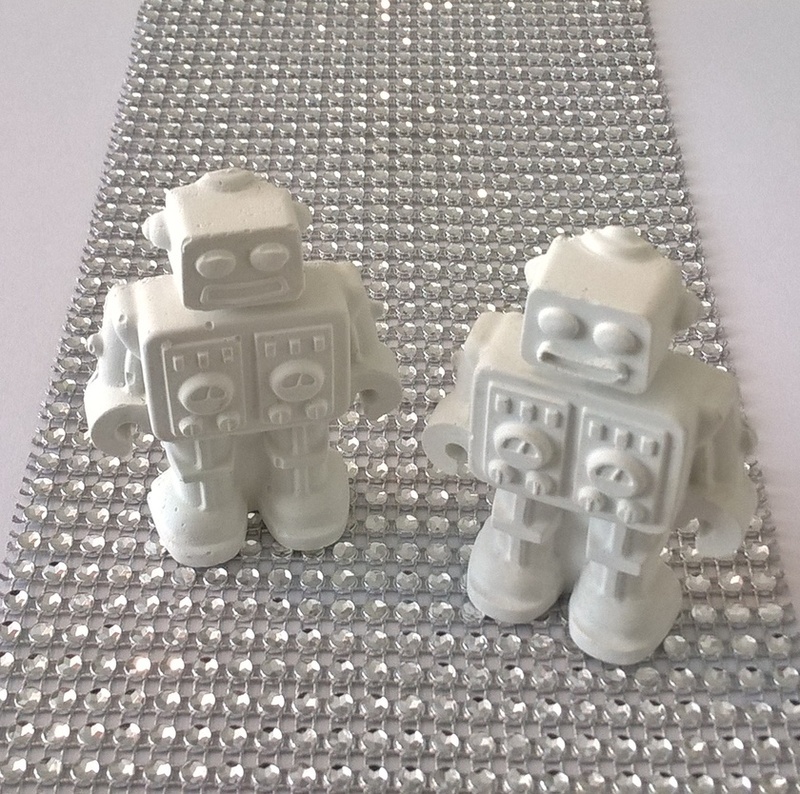 A set of 2 decorative concrete robots. 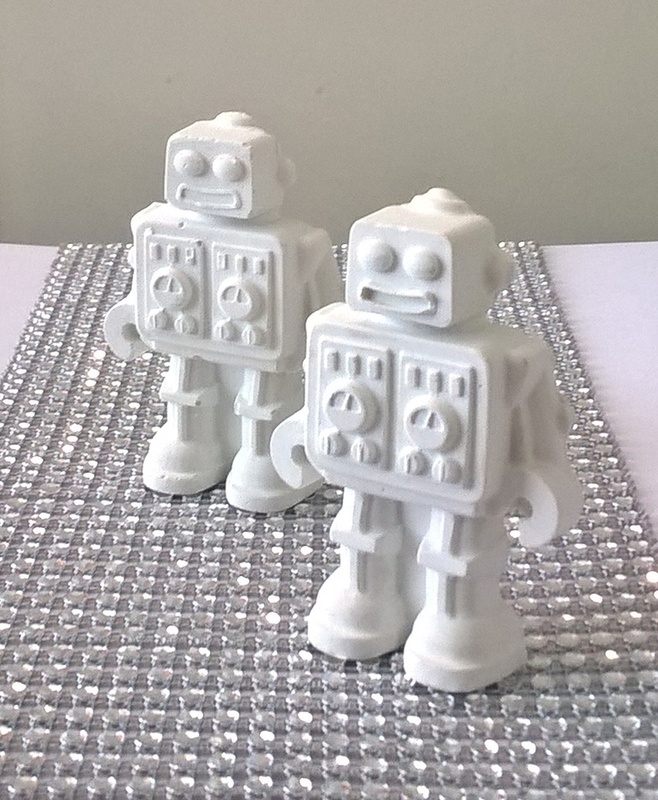 The robots have been cast from a special white concrete mix and are intended for display only, They are not recommended for small children. Perfect for display in a boy's bedroom or on an office desk of an older "kid". Concrete is prone to imperfections - I think this just adds character to it's tactile form. 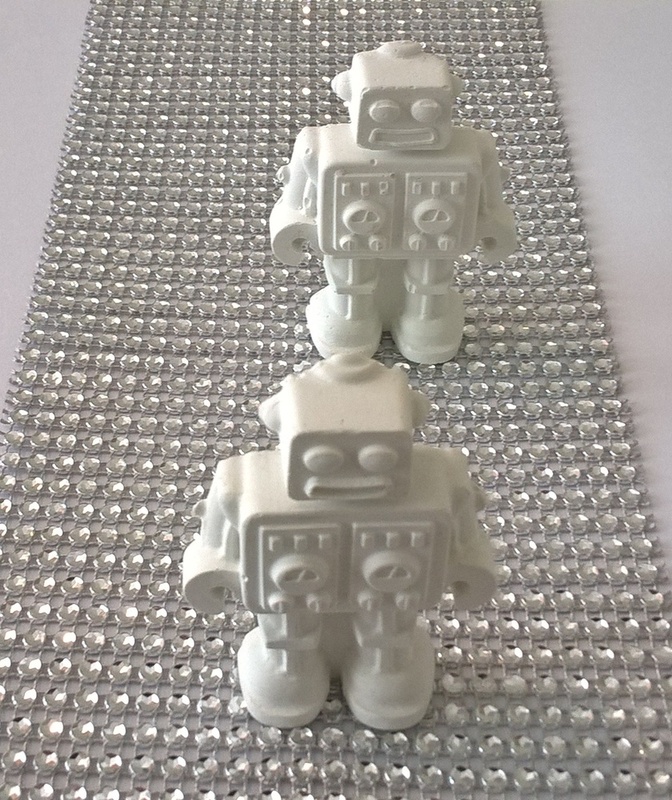 If you would like a platoon of these little fella's, please contact me, I am happy to consider custom orders.